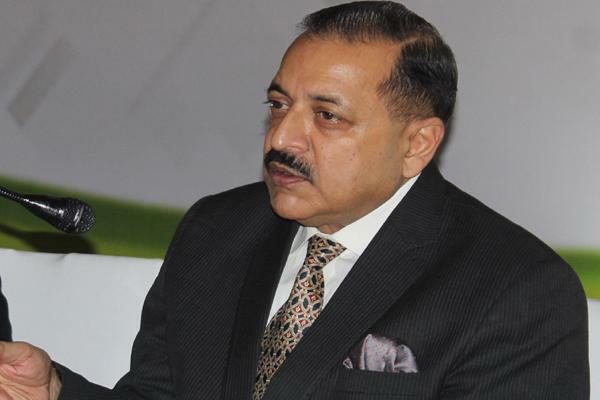 The Northeast has undergone a "revolutionary transformation" in the last four years and the region has become a role model for other states, Union minister Jitendra Singh said Friday. Releasing a calendar of the North East Council (NEC) and the Ministry of Development of North Eastern Region (DoNER), Singh said recently the central government had approved the extension of the benefits for industrial promotion to Jammu and Kashmir on the line of the Northeastern states, which is a matter of pride. "In the last four-and-half years, the Northeast has undergone a revolutionary transformation under the leadership of Prime Minister Narendra Modi. Now, the region has become a role model for other states," he said. The minister for DoNER said the first region-based NITI forum was set up for the Northeast, a special infrastructure development scheme has been launched for the region and the Indian Forest Act was amended to ensure that bamboo is no longer considered a tree, enabling the livelihoods of forest communities, among others. He also said the ministry of the DoNER has taken various initiatives for the development of the Northeastern region. The trend of budgetary allocation to DoNER in the last few years reflects an increase of 51 per cent allocation in 2018-19 compared against actual of 2015-16. The DoNER was allocated Rs 1,986.80 crore, Rs 2,495.84 crore, Rs 2,682.45 crore and Rs 3,000 crore for 2015-16, 2016-17, 2017-18 and 2018-19 respectively. ৰঙালী বিহু ৰঙৰ নে খঙৰ বিহু?